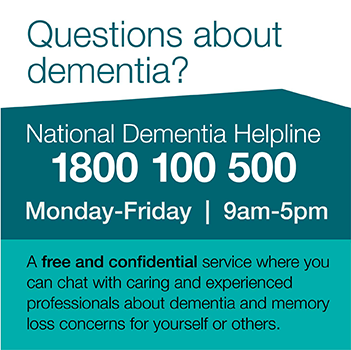 Dementia Training Australia (DTA) is a consortium funded by the Australian Government to provide nationwide education on the support and care of people living with dementia. DTA offers a range of courses and resources including e-learning, workshops, webinars and nationally accredited vocational training. The vocational training is delivered by Dementia Australia to 6,500 people every year through the Dementia Essentials courses. The consortium is made up of Dementia Australia and five universities – the University of Wollongong, La Trobe University, Queensland University of Technology, Wicking Dementia Research and Education Centre (University of Tasmania) and the University of Western Australia. Its work is guided by a 'salutogenic' approach: a focus on factors that support health and wellbeing, and opportunities for a person with dementia to live as full a life as possible. For more information on DTA courses, services and resources, visit dta.com.au.